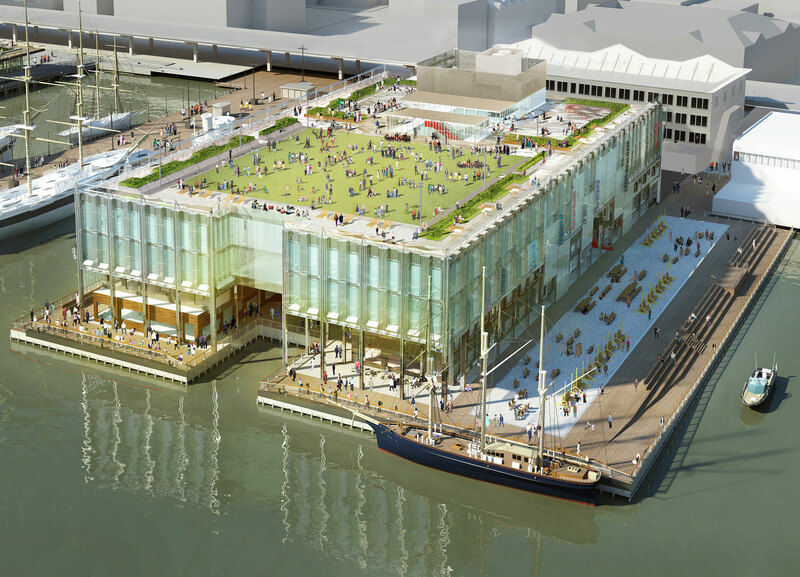 Pier 17 is the headline project in Howard Hughes Corporation’s revitalization of the South Street Seaport in Lower Manhattan. Designed by SHoP Architects, the 300,000-square-foot, 4-story building contains retail and restaurants in a series of staggered, boxed volumes separated by open-air thoroughfares, mimicking the New York streetscape. These first two floors, called The Village, are clad in a zinc and wood rain screen system. The top two floors hover above, clad in channel glass on a unitized system. 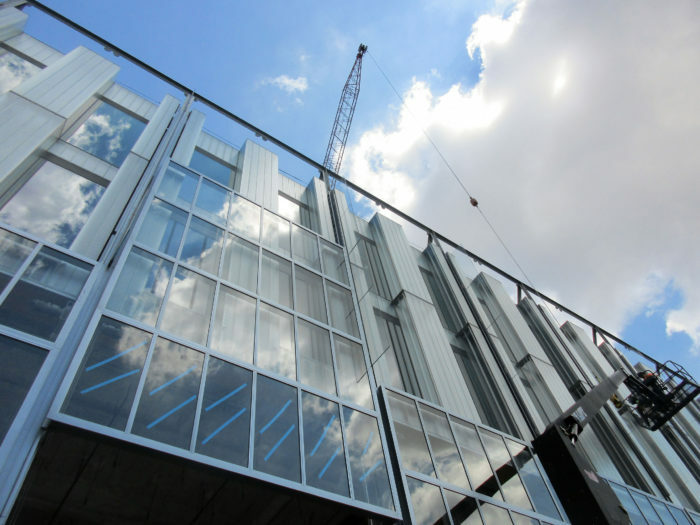 Each unit spans two stories (40-feet-tall) and is structurally glazed onto an aluminum frame with an outrigger structure to support the glass. Operable glass doors (30-feet-wide by 40-feet-tall) on the north and south elevations seal off the lower floors in bad weather while providing views of the waterfront and the Brooklyn Bridge. Featured image courtesy of SHoP Architects; Photographs 1-2 by Heintges.